This is the story of Lenka and her daughter Tereza from Liberec, in the Czech Republic. Tereza came to LTL Beijing to enhance her Chinese knowledge. Unfortunately during their first month, Tereza became sick. 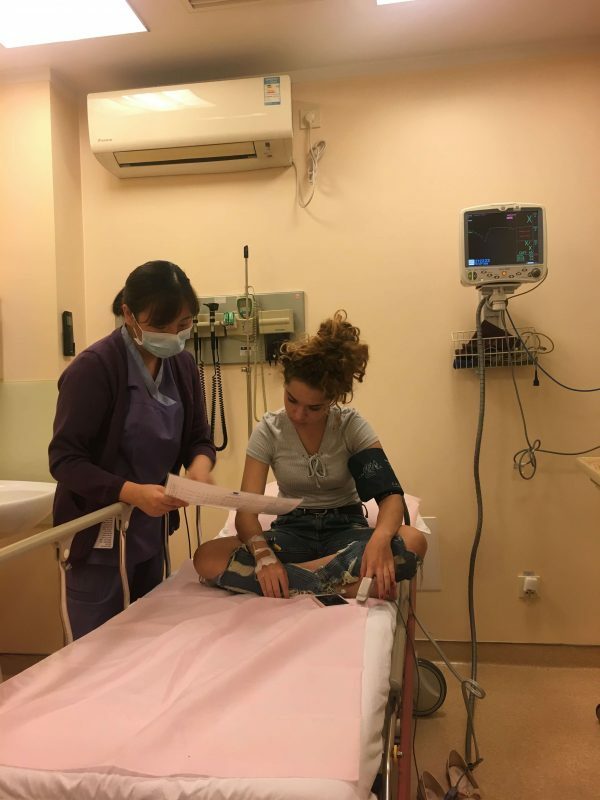 It’s something many people worry about when coming to China so Lenka, Tereza’s mother, has kindly put together their story in a bid to re-assure you, it isn’t as bad as you’d think! While travelling and exploring foreign countries, there are plenty of experiences we don’t want to miss. Then there are those things we always want to avoid… Being sick, seeing a doctor or staying in a hospital. Though unfortunately that is exactly what has happened to my 15 year old daughter, Tereza. Just a week after our arrival, a beautiful Sunday afternoon, Tereza started to feel sick. She felt tired, and had a headache. Perhaps too much sun? I thought to give her some pills we brought with us and let her rest at home the next day. The day after she felt better and went to school. But by that evening the symptoms were all back and much worse. She started to have chills, felt pain in her stomach and her temperature increased to 39,6! No time to rest on our laurels. She needed a doctor. After only a week in China I did not feel any confidence in my ability to solve much easier issues, let alone looking for a hospital in Beijing. It was 9pm, dark and we were in a Hutong in the suburb of the city, with a family where no one speaks English. What to do? I called our insurance company and they promised to find a hospital we could go to and call back. But I really was scared and did not want to wait. I decided to contact LTL to ask for assistance. Angelina immediately sent us the name and address of a hospital we could go to and Mrs. Jiao, the grandmother of our Chinese family drove us there directly. I was so thankful we had chosen LTL Mandarin School at this point as they were really helpful and willing to provide assistance whenever needed! It went by like a blur! It was clear at first sight that this Beijing hospital provides top level care and is quite favoured by expats. All the staff spoke fluent English. We filled in the registration form and payed the deposit for the emergency care. The first doctor called us in for about 15 minutes and then sent us to see specialist doctors. They performed the blood tests and other physical examinations, including an ultrasound. We had managed to calm down a little bit and waited for the results. Meanwhile, the nurses came to give my daughter pain killers, measure her temperature and blood pressure. It soon became clear that we were not going home the same evening. Later we were led to a comfortable room with its own bathroom and the staff prepared a sofa bed for me so I could stay with my daughter. They also brought us some food. It was nearly midnight and Tereza was almost not able to eat at all. She took some pain killers, along with pills to decrease the fever and infusions. The next day she took some further antibiotics and she began to visibly improve and recover. The temperature was decreasing slowly as well as the pain and on the fourth day after it all began, she started to feel much better with no need for pain killers and almost no fever. Finally, she started to feel hungry! After six days we could go home and continue the treatment. Ten days later we had our final appointment with the doctor and the last tests were done. All with good results! And we can enjoy our Beijing stay again! The only remaining thing to resolve is the paperwork with the insurance company, but the worst is over! The health care in international hospitals in China might be very expensive and if anything happens, you will probably go to one of them. So consider this when looking for the right insurance and if you need a doctor, call your insurance company as soon as possible. They can recommend where to go and what the procedure will be like. Either that or you can of course choose the hospital yourself. In any case, always ask the insurance company to provide the Guarantee Letter as soon as possible and send it straight to the hospital. It usually takes some time (especially due to time difference), so you might need pay the initial emergency deposit by yourself. In United Family Healthcare it is 3,000 CNY (about 375 EUR), but if the cost of the overall treatment is lower than this they will refund the remaining money when you leave the doctor. 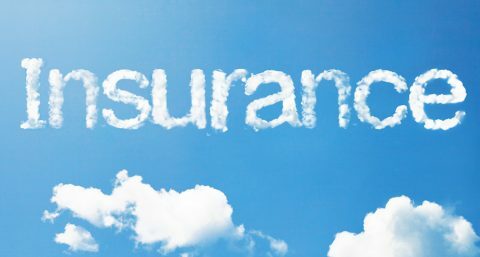 In case you have to stay in the hospital, inform your insurance company and ask the hospital to provide the insurance company with all the medical reports so they can provide the guarantee payments gradually. Otherwise it might be that you will have to pay a part of the treatment on your own before being released from the hospital. In our case we had to pay almost 10,000 CNY (1,250 EUR), which the insurance company should pay us back, but of course, that will cost us some time and paper work. In case you will have to have another appointment/check in with the hospital later, provide the guarantee letter in advance. Even if everything seems to be processed during your stay in the hospital, the inpatient and outpatient departments are detached in most institutions. You will need to provide particular documentation. Otherwise you will, again, have to pay and deal with the insurance company later.